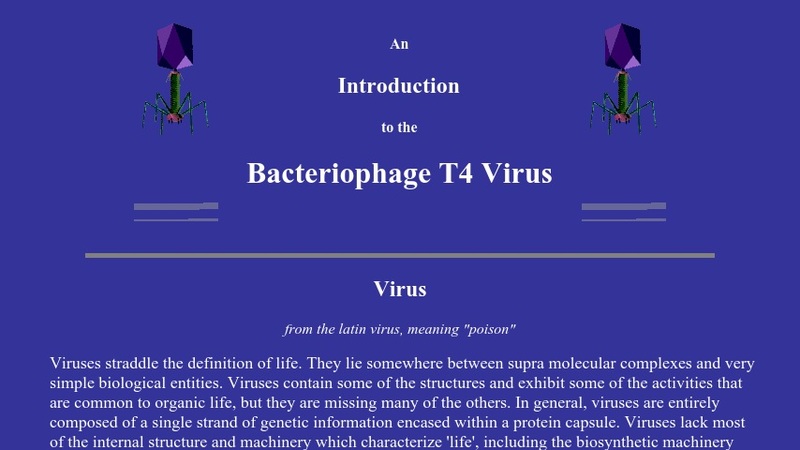 An Introduction to the Bacteriophage T4 Virus. This is a site concerning the characteristics of the T4 virus and how it infects their unsuspecting hosts. The page speaks about how viruses straddle the definition of life, along with a basic description of what viruses are, and how they infect/replicate in host organisms.